Smith: "CORINTH 1862: Siege, Battle, Occupation"
Situated at the junction of two of the South's longest and most commercially and militarily vital railroads, the north-south running Mobile & Ohio and the east-west Memphis & Charleston (the "backbone" of the Confederacy), the small town of Corinth, Mississippi was a logistical hub of immense interest to both sides. Timothy Smith's groundbreaking Corinth 1862 examines events from the period when many considered the town the key to the entire western theater. With rough estimates of over 100,000 Union soldiers and 80,000 Confederates, the April-May 1862 campaign (the Siege of Corinth) by General Henry Halleck's massive army group was one of the largest operations of the war, yet it has been badly neglected in the literature. Running around 100 pages and described primarily at the scale of the division, Smith's tight operational summary is inarguably the best published overview available, although some readers will be left hungry for more tactical detail pertaining to the Russell House, Double Log House, Serratt's Hill, Shelton House, and Farmington clashes. Also, with the book providing only a single area map of Corinth for the entire "siege", a close following of the action, even at the scale presented, is more difficult than desired. Then and now, Halleck's deliberate pace of advance has been the subject of heaps of scorn, but Smith properly credits the general with the achievement of his object at small cost. Critiques of the follow up strike one as more powerful. On the Confederate side, the author does not take a determined stance on the controversies over the level of formidability offered by the Corinth defenses and the timing of Beauregard's withdrawal (although he does praise the general's success in saving most of the equipment and supplies accumulated in the town). Smith's operational and tactical discussions of the campaign and October 3-4 battle for Corinth are excellent, although the latter has a bit of an imbalance of scale [tactical movements are at regimental level for the Union side, and brigade for the Confederates]. The author's grasp of how the natural landscape and Corinth's concentric lines of earthwork defenses drove the conduct of the battle is admirable all around. George Skoch's maps closely resemble those he created for The Darkest Days of the War, Peter Cozzens's superb 1997 rendering of the campaign and battle. Smith's views on the mysteries and controversies of the battle (e.g. General Louis Hebert's enigmatic illness, Mansfield Lovell's failure to attack College Hill on the 4th, and the miscommunication between William Rosecrans and Charles Hamilton that derailed a potentially devastating Union flank attack on the 3rd) are generally similar to those presented by Cozzens. The largest complaint raised by both Union and Confederate occupiers of swampy Corinth was the poor quality of water and the epidemic of sickness. These health issues, and the effect they had on the fighting effectiveness of the Confederate defenders during Halleck's advance, are worthy of their own study (perhaps in conjunction with a look at the "Chickahominy fevers" that similarly prostrated tens of thousands of Union soldiers during the concurrent Peninsula Campaign). Unionism in Corinth and the rest of Tishomingo County is another issue examined by Smith. Many of the ladies of Corona College welcomed the arrival of Union troops, and with the departure of so many secessionists from Corinth following Beauregard's retreat, the town was essentially transformed into a unionist bastion. Beginning in late 1862, the Union general in charge of the Corinth district, Grenville Dodge, established a contraband camp whose population swelled into the thousands. In the next year, many of the able bodied men among them would be recruited into black combat units. The body of research materials consulted by Smith is astounding, a testament to his many years of diligent digging through archive collections located across the entire breadth of the country. The listing of manuscript sources alone far exceeds in size the entire bibliographies of most Civil War works published today. The first attempt at a comprehensive examination of a strategic point commonly acknowledged to be one of the continent's most important, with an emphasis on the year of most decisive action and change, Corinth 1862 is a terribly important and original contribution to the Civil War literature. While it's true that a definitive level study of the Battle of Corinth published during the time Smith was researching this volume takes a bit of steam out of that particular section, the parts covering the siege and occupation are truly unmatched. Corinth 1862 is highly recommended reading for all students of the war, not just those with a primarily western outlook. After 30 minutes of History's 3-part Hatfield and McCoy saga, I decided I didn't want to sit through eleven more such periods. I didn't hate it, just wasn't interested in seeing trees outdo Costner in expressing emotion and Paxton feverishly moaning "game over, man" when surrounded by a swarm of bloodthirsty Hatfields. But on a serious note, this site has received hundreds of hits over the past couple days from those seeking more information on the feud. With self interest in mind, I do not share Dimitri's concern about the frequency of blog posts being ranked high on new book Google searches. However, in this case, I am afraid that these new visitors will find that I actually haven't written too much on the feud participants [ see: review of The Other Feud: William Anderson "Devil Anse" Hatfield in the Civil War and a brief content rundown for the 1863 volume from the Virginia at War series of essay compilations]. 1. 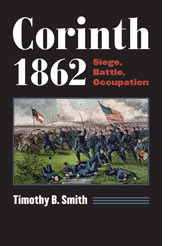 Corinth 1862: Siege, Battle, Occupation by Timothy B. Smith (UP of Kansas, 2012). My review will be posted this week. 2. Civil War Battlefield Orders Gone Awry: The Written Word and Its Consequences in 13 Engagements by Donald R. Jermann (McFarland, 2012). With our transportation signage overkill and ready communications, it is easy to forget how difficult it was for mid-nineteenth century armies to get where they needed to be. Jermann looks at Civil War FUBARs at Ball's Bluff, Winchester, Mechanicsville/Gaines' Mill, Malvern Hill, 2nd Bull Run, 1862 Maryland Campaign, Perryville, Fredericksburg, Vicksburg, Gettysburg, Chickamauga, Spring Hill and Five Forks. 3. Promotion or the Bottom of the River: The Blue and Gray Naval Careers of Alexander F. Warley, South Carolinian by John M. Stickney (USC Press, 2012). Warley commanded significant vessels at the beginning (CSS Manassas below New Orleans) and end (CSS Albemarle at Plymouth, NC) of his Confederate naval career. In between, he served at Charleston, Galveston, and Savannah, covering most of the major CSN naval stations. Love the title. No single work adequately covers the role of Colorado in the Civil War. Most of the attention centers on the epic march of the Pike's Peakers to New Mexico, the Battle of Glorieta, and, of course, Sand Creek. However, there is much more to the story. Northerners and southerners alike flocked to the gold fields in the years preceding the Civil War, and enough Confederate sympathizers remained behind to cause trouble in the territory. In addition to internal strife and other home front issues, Coloradans fought a two front war, against Confederates in the Southwest, Kansas, and Missouri and against a variety of Indian bands threatening the overland trails. Campaign and unit histories exploring the military role of Colorado's Union volunteers exist (some quite good, like Flint Whitlock's Distant Bugles, Distant Drums: The Union Response to the Confederate Invasion of New Mexico), and general works like Alvin Josephy's The Civil War in the American West and Ray Colton's The Civil War in the Western Territories: Arizona, Colorado, New Mexico, and Utah have some value, but nothing really puts it all together in a satisfying manner. Duane Smith's The Birth of Colorado: A Civil War Perspective serves as a standard reference in various bibliographies, but I found it disappointing in depth and breadth. Most recently, I came across a listing for a self-published work, The Pike's Peakers and the Rocky Mountain Rangers: A History of Colorado in the Civil War. However, the short description, which also doubles as an author bio, is so ill-conceived that I doubt adequate effort was made to present the manuscript in publishable form. With a promising Nebraska study slated for the first of next year -- James Potter's Standing Firmly by the Flag: Nebraska Territory and the Civil War, 1861-1867 --, perhaps someone will be inspired to do the same for Colorado. 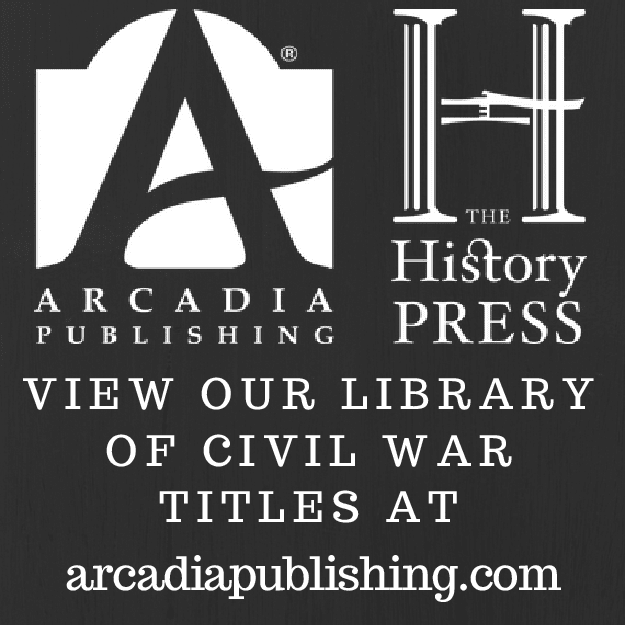 Since 1942, Tennessee Historical Quarterly, the scholarly journal of the Tennessee Historical Society, has published close to 400 Civil War related articles. In commemoration of the conflict's sesquicentennial, the society, with series editor Carroll Van West, plan to republish the best of these in a dozen themed volumes. 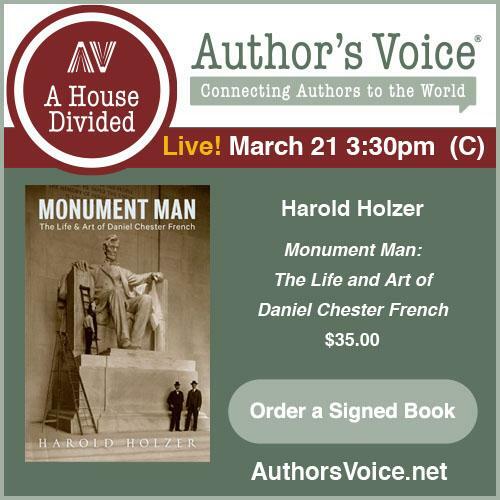 An expert scholar will select the essays and pen the introduction for each book. An excellent choice for Volume III - The Battle of Shiloh is historian Timothy B. Smith, the author and editor of numerous Shiloh studies. Given its status as the state's preeminent battle, it is no surprise that Shiloh is the subject of more than a few THQ articles and Smith's selections comprise a mix of the expected and unexpected, both old and new. As one might suppose, content quality and depth of research vary and many of the older writings espouse interpretations considered dated by many of today's scholars. However, all have points of interest. The first chapter, Peter Franklin Walker's 1957 assessment of Confederate command failure during the Forts Henry and Donelson campaign, outlines the now mainstream critiques of Confederate generals Johnston, Floyd, Pillow, and Buckner. The most unconventional feature is Walker's criticism of Grant's failure to prevent the escape of the Fort Henry garrison. Every Shiloh compilation has to have a Hornet's Nest article and Donald Dosch's from 1978 is a clinical, step-by-step recreation of events. Although he does not develop his own views on the relative importance of the sunken road fighting, his notes frequently defer to the judgments of David Reed, whose views on the primacy of the Hornet's Nest are well known to today's readers. Donald Clark's lengthy piece from 2009 takes a detailed look at Don Carlos Buell's march to the battlefield, as well as the controversial official and public opinions of Buell and lead division commander "Bull" Nelson on the state of the Army of the Tennessee upon their arrival. Like most of today's historians, Clark does not believe that Buell's arrival on the afternoon of April 6 "saved" Grant's army. A participant that certainly did believe in Buell as savior, and committed his thoughts on the matter to the pages of his fiction, was Ambrose Bierce. Christopher Kiernan Coleman's article recounts Bierce's participation in the campaign and battle and analyzes how the famous writer's experiences were represented in his later fiction. A military and civilian 'human interest' article associated with the battle, similar in style to his book, can be found in James McDonough's offering from 1976. A pair of chapters reproduce participant writings. For the September 1958 issue, John Biel excerpted the Shiloh portions of the diary and letters of 38th Tennessee soldier Joseph Dimmit Thompson. These pieces of primary source material provide convey to the reader the perspective of a common soldier belonging to Pond's Brigade of Ruggles's Division. Biel's contribution is also remarkable in that it is the most extensively annotated of the book's selections. Artist Conrad Wise Chapman, best known for his Siege of Charleston paintings, also fought at Shiloh and was wounded on Day 2. Wise's thoughts on the battle and his wounding are presented in Ben Bassham's well edited 1988 article. An article assessing shifting interpretations of Shiloh by historians and another summarizing the formation of the park itself together offer a fitting conclusion to the volume. Editor Timothy Smith's 2003 article divides Shiloh scholarship into four schools of thought and lists the prominent adherents to each. Most readers will have been exposed to Smith's thoughts on these matters through his many publications since so they need not be restated here. However, one historian he does mention that most readers have probably not heard of is James Gentsch, whose Master's thesis "A Geographic Analysis of the Battle of Shiloh" (Memphis State University, 1994) sounds worthy of future publication in book form. Although the definitive battle history has yet to be written, Shiloh students have been treated to a number of excellent books and essay compilations in recent decades. While all of the articles in The Battle of Shiloh have been published before (obviously), their compilation in a new volume has merit with the hope that a new generation of reader can more easily access them and benefit from their content. UM System President Tim Wolfe announced today that the University of Missouri Press will be shutting their doors (final date undetermined), with the winding down of operations beginning in July. The Columbia Daily Tribune has a brief article discussing this unfortunate event. As you may know, most university presses receive a subsidy from the parent school and a number have come under significant financial pressures in recent years, but, as far as I know, this is the first actual closure of a major academic publisher since I've been reviewing Civil War books. Hopefully, this is not a harbinger of doom for others involved in the printed dissemination of academic historical literature. "The Big Guns of Fayette"
Unsurprisingly, histories of Texas units that spent the entire war garrisoning their state's coastline are rare. Published way back in 1965, Paul C. Boethel's The Big Guns of Fayette (Von Boeckmann-Jones) is the history of just such a group of men, Creuzbaur's Battery [a.k.a. Fifth Texas Field Battery, Welhausen's Battery]. Although the literature focuses nearly all of its attention on the struggles and victimization of German unionists in the Lone Star State, it is clear from Creuzbaur's almost entirely ethnic company roster that many German-Texans supported the Confederate cause. Originally intended as a heavy artillery unit for coastal defense when it was organized in 1861, the lack of suitable ordnance meant conversion to a four-gun light field battery [2 12-lbers (presumably howitzers) and 2 6-lbers]. From 1861-64, the unit drew garrison duty the length of the Texas coast as places like Liberty, Virginia Point, Galveston Island, Sandy Point, and Fort Mannahassett (Sabine Pass). The only real combat experienced by the men was at Calcasieu Pass (LA) in 1864, where the guns came under heavy fire (disabling two) but were nevertheless instrumental in forcing a pair of powerful Union gunboats (Granite City and Wave, mounting 14 cannon) to surrender. At only 69 pages, Boethel's narrative, based on a variety of primary and secondary source materials (but primarily on official documents), is brief, but it is strong on organizational and roster data. The chapter on Calcasieu Pass is judiciously written and suitably detailed, although a battle map would have been helpful. A trio of drawings indicate geographical points significant to the unit's service history as well as the locales where it was organized and trained. The roster at the back of the book contains a good number of sizable mini-biographies. 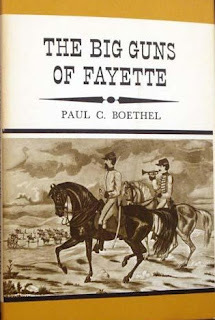 The Big Guns of Fayette has aged rather well and is worth picking up [unfortunately, used copies offered on the secondary market currently run in the $200 range so ILL is a better bet]. In addition to providing useful coverage of military affairs on relatively obscure coastal fronts in the Trans-Mississippi, the book's portrait of an unusual Confederate unit should also arouse the interest of social historians interested in the multi-ethnic makeup of Civil War armies. Cullimore:"THE BOYS OF COMPANY K: Ohio Cavalry Soldiers in the West During the Civil War"
The men of the 11th Ohio Volunteer Cavalry signed up to fight Confederates, but instead were sent out west to the plains of Colorado, Wyoming, Nebraska, and the Dakotas to fight Indians, primarily Arapaho, Cheyenne, and Sioux. Raised piecemeal, the 11th never campaigned as a full regiment. 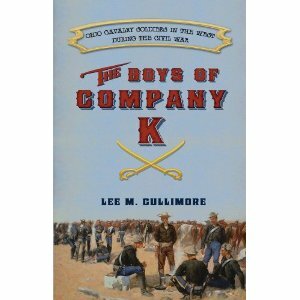 Two companies were incorporated into the regiment in 1864, the last the subject of Lee Cullimore's The Boys of Company K: Ohio Cavalry Soldiers in the West During the Civil War. A useful regimental history already exists in Robert Huhn Jones' Guarding the Overland Trails: The Eleventh Ohio Cavalry in the Civil War (Aurthur H. Clark, 2005), but Cullimore's company study is a more intimate portrayal of frontier service. The story of Company K is largely told through the writings of three soldiers, the journal of Lewis B. Hull [first published in 1938], and the letters of Franklin Tubbs and William F. Mooney. These three soldiers and others provide the reader with a wealth of detail about military service on the western plains 1864-66 and what life was like in a Civil War frontier fort. Insights into how the authorities and the soldiers dealt with the typical issues of isolated military service (e.g. boredom, loneliness, desertion, weather extremes, and alcoholism) are presented. The company began active service in 1864 with an arduous march to Fort Laramie. That place and Fort Halleck constituted their primary area of operations. Duties included protection of settlers as well as keeping open telegraph lines and clearing the main overland trails to mail, emigration, travel, and freight service. Sand Creek made already difficult problems in carrying out these tasks even more so, and the book describes several skirmishes between volunteers and Indian raiders. The maps included in the book are quite good at tracing movements and locating places mentioned in the text. Cullimore does perhaps devote a bit to much space to men and events outside the direct experience of the men of Company K, and one might have wished for a more balanced portrait of Indian-White frontier relations. Overall, though, his narrative supplements quite usefully other notable books on the subject of the Overland Trails during the Civil War like John McDermott's Circle of Fire and the excellent Massacre Along the Medicine Road by Ronald Becher. The company's participation in the 1865 Powder River Expedition is also chronicled. For the most part, this is done well. Unfortunately, much of today's western writing remains a definitionally muddled and ideologically inconsistent attempt to distinguish between battle and massacre, and The Boys of Company K's attempt to draw convincing parallels between the Tongue River fight and Sand Creek is similarly unedifying in this regard. Cullimore's interpretation of the fight at Black Bear's camp on the Tongue is also at odds with that presented in David Wagner's well regarded two-volume history of the expedition [Powder River Odyssey: Nelson Cole's Western Campaign of 1865, The Journals of Lyman G. Bennett and Other Eyewitness Accounts (2009) and Patrick Connor's War: The 1865 Powder River Indian Expedition (2010)]. While Cullimore's notes do provide an enriching array of background and biographical material, I do wish he had included source notes in the traditional manner. Absent this, there is a bibliography listing the books, articles, newspapers, and archival materials consulted by the author. 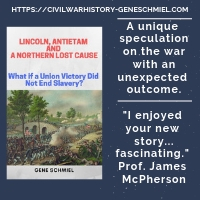 Above concerns aside, those interested in the Civil War service of the 11th Ohio Cavalry and the last great Plains Indian Wars campaign conducted by Union volunteer units before their replacement by army regulars will find the book worthy of their attention. 1. Born to Battle: Grant and Forrest--Shiloh, Vicksburg, and Chattanooga by Jack Hurst (Basic Books, 2012). Hurst continues his series juxtaposing the personal backgrounds and military careers of Grant and Forrest. I still think it a bit odd to pair two guys with such a large gap in respective command responsibilities. 2. Rhode Island's Civil War Hospital: Life and Death at Portsmouth Grove, 1862-1865 by Frank L. Grzyb (McFarland, 2012). Portsmouth Grove Hospital served thousands of Union wounded and Confederate prisoners. This well researched and illustrated book examines the levels of care offered at the facility and the lives of patients, staff, and civilian benefactors. A roster of soldiers serving as hospital guards is included, as well as a burial register of those that died at the hospital. BookThink's editor Craig Stark frequently publishes useful Bookthinker articles on a variety of subjects of interest to collectors. A new piece, free to readers (you don't have to be a Gold subscriber), is an excellent primer on the causes and fixes of warped boards. I'm sure everyone's come across this problem at one time or another, especially maddening when not disclosed by the seller, and wondered what fix is most effective and safe. Check it out here. A reader comment reminded me of Scott Hartwig's upcoming 2-vol. history of the Maryland Campaign. According to the new Johns Hopkins catalog, the title of the first book is To Antietam Creek: The Maryland Campaign of September 1862 , and it has an October release. At 800 pages, it's hefty. "Antebellum Jefferson, Texas: Everyday Life in an East Texas Town"
Founded in 1845, Jefferson, Texas was a boom town positioned to exploit river trade along the Texas-Louisiana border. It served as a frontier gateway for goods heading west after traveling up the Red River (Shreveport was 40 miles to the east). According to Jacques Bagur in his monumental local history Antebellum Jefferson, Texas: Everyday Life in an East Texas Town (University of North Texas Press, 2012), at its 1870 zenith, the town may have been the busiest steamboat port in the state. As its large size (over 600 pages) suggests, Antebellum Jefferson is remarkably comprehensive. It is not a traditional narrative history, but rather a bit of a hybrid between that and a data driven reference work. Each chapter tackles a different theme and together they create a wide ranging social, political, economic, and cultural portrait of the town. The material presented is both descriptive and quantitative in nature. Not surprisingly, economic activity (e.g. navigation, markets, manufacturing, warehousing, meat packing, railroads etc.) is a major focus but the lives and experiences of citizens and slaves are also dealt with in similar depth. Political life, social organizations, religion, education, entertainment, and public health are all covered, as well as darker subjects like vice and crime. The absence of footnoting makes the book less helpful than it could have been for scholars, but the lengthy source discussion at the rear of the book, loosely organized by section, compensates to some degree for a lack of traditional notes and bibliography. While the largest audience for Antebellum Jefferson will probably be local, students of western boom town development and Texas history in general should find the volume of significant use in their research. Placenames of the Civil War: Cities, Towns, Villages, Railroads Stations, Forts, Camps, Islands, Rivers, Creeks, Fords and Ferries by John D. Bennett (McFarland, 2012). Title and subtitle pretty much tell you what you're going to get. The description mentions that around 1,600 entries are included. These are not categorized but rather listed together in a single alphabetized "gazetteer". The amount of information under each heading ranges from a sentence or two to several paragraphs, primarily mentioning origins, general location, and dates [generally by month rather than day(s)], names and events associated with the site. An appendix lists town populations from the 1860 census and another compiles a town list by state. Scuffle at California and Montgomery. Great "action" photos, too. The majority of the Fall/Winter catalogs from the university presses are available now, and I just wanted to mention a trio of selections. Larry Daniel's new battle history will be published in November by LSUP and is titled Battle of Stones River: The Forgotten Conflict between the Confederate Army of Tennessee and the Union Army of the Cumberland. Forgotten, eh? The William C. Davis blurb to Henry Laver's A General Who Will Fight: The Leadership of Ulysses S. Grant (Kentucky, Nov) asserts that it "could become the book on Grant's generalship". I don't think anyone would rate Davis, or fellow blurber James Ramage, as Grant experts, and books like this are common and rarely offer fresh ideas, but I am intrigued nonetheless. Finally, there's Rick Sauers and Peter Tomasak's The Fishing Creek Confederacy: A Story of Civil War Draft Resistance (Missouri, Sept). Excepting the NYC draft riots, the study of armed resistance to conscription in the North lags far behind that of the Confederacy. I was first exposed to the unrest in Columbia County, Pennsylvania, and the military expedition launched to suppress it, with Robert Sandow's excellent Deserter Country: Civil War Opposition in the Pennsylvania Appalachians (Fordham, 2009), a brief work covering resistance in the ten county "lumber region" of north-central Pennsylvania, but The Fishing Creek Confederacy is the first book length study of the Columbia County situation. 1. Giant in the Shadows: The Life of Robert T. Lincoln by Jason Emerson (SIU Pr, 2012). By the typical measures of late Victorian and Gilded Age societies, Robert Lincoln had a very successful professional and public life. He was a CEO, a US ambassador, and Secretary of War, although, as the eldest son of Old Abe, doors of opportunity open up to you that are unavailable to the masses. Emerson's bio is a massive affair that promises much in the way of the new. One thing that struck me from the publisher's description is the book's claim to provide "new details about Robert’s role as his father’s confidant during the brutal years of the Civil War." My knowledge of the father-son dynamic between the two is limited, but I was always given to understand that their relationship was not a close one. 2. Captain Joseph Boyce and the 1st Missouri Infantry, CSA edited by William C. Winter (Missouri History Museum, 2011). First published as a Missouri Republican serial of lectures to the Southern Historical and Benevolent Society of St. Louis, Boyce's account of his leadership of Company D appears for the first time in book form. Winter, the author of a fine guidebook to Civil War St. Louis, provides chapter introductions as well as footnotes, roster, and index. Delgado: "MISADVENTURES OF A CIVIL WAR SUBMARINE: Iron, Guns, and Pearls"
The CSS Hunley grabs the headlines, but there was much more to Civil War era military submarine technology in America than the cigar shaped Confederate submersible warship. Students of the naval war will likely have heard of the USS Alligator or even the Intelligent Whale, but Julius H. Kroehl's Sub Marine Explorer is equally deserving of attention, both for its advanced technology (that actually worked!) and its place in the evolution of the modern submarine. In 2001, vacationing marine archaeologist James P. Delgado came upon the rusted hulk of the vessel while strolling along a beach in Panama. His investigation into the peculiar craft's origins and history resulted in Misadventures of a Civil War Submarine: Iron, Guns, and Pearls. Delgado begins his book with a nice primer on the state of 19th century underwater technology, from the development of diving suits to diving bells. From there, the reader is introduced to Julius Kroehl. An immigrant from Prussia, the marine engineer and entrepreneur came to public attention with his winning of a hotly contested contract to clear troublesome New York harbor obstructions like Diamond Reef. When this task proved vastly more difficult than anticipated, Kroehl adapted an existing diving bell design for the purpose of drilling and blasting the reef. Although he had his critics, Kroehl had enough of a reputation as a marine demolition expert that his services were in demand by the US Navy when Civil War erupted. As a civilian contractor, the Prussian-American was first asked to develop a plan for destroying the hulk and chain obstruction on the lower Mississippi River that barred progress upriver to New Orleans. He also served with the James River Squadron and along the Cape Fear River. After a serious bout of tropical fever, Kroehl was released from the navy. His new design, a submarine-diving bell hybrid called the Sub Marine Explorer, was original designed to harvest pearls for the Pacific Pearl Company at depths inaccessible to divers, but Kroehl also saw its military potential and offered the sub to the Navy in 1864. Although inspected by the Navy in 1865 [the full report is reproduced as an appendix] and recommended for sea trials, the submarine never saw service during the war. How the Explorer found itself beached and rusting in a Panamanian cove is not entirely known, but Delgado reasonably suggests that it was mothballed there and ultimately abandoned, with the pearl business no longer a going concern and the expense of returning the vessel to the U.S. prohibitive. The business acumen of the officers of the Pacific Pearl Company is also questioned by the author, as they did not seem to have investigating just how badly overfished the oyster beds were at the time. On top of this, a design feature turned out to be a major flaw in its usefulness for the purpose at hand. The depth at which existing oysters could be harvested was not a safe one for the crew and led to decompression sickness [for workers to exit the vessel underwater, compressed air was used to equalize pressure inside the vessel to that of the surrounding depths]. The final part of the book documents in photos and text the archaeological investigation of the wreck. One of the appendices also provides an extraordinarily detailed set of construction plans. The originals no longer exist, but the drawings in the book attempt to reconstruct them using the best available evidence. Misadventures of a Civil War Submarine is truly an original work. Not only does it resurrect the Civil War career of an important maritime innovator and inventor, it makes the case for the unjustly forgotten Explorer (a true submarine with a lock out diving chamber) being an important evolutionary step in the development of submersible vessels for civilian and military use. Delgado's study is highly recommended for Civil War scholars and enthusiasts, as well as more general nautical history and technology students. Fellow Trans-Mississippiphiles might be interested to know that a new Carthage study is scheduled for release by McFarland later in the year (so far, November) from University of Central Arkansas's Kenneth Burchett with the title The Battle of Carthage, Missouri: A History of the First Trans-Mississippi Conflict of the Civil War. Topping Hinze and Farnham will take some doing, but I welcome another perspective. "The Battle of Carthage, Missouri, was the first full-scale land battle of the Civil War. Governor Claiborne Jackson’s rebel Missouri State Guard made its way toward southwest Missouri near where Confederate volunteers collected in Arkansas, while Colonel Franz Sigel’s Union force occupied Springfield with orders to intercept and block the rebels from reaching the Confederates. The two armies collided near Carthage on July 5, 1861. The battle lasted for ten hours, spread over several miles, and included six separate engagements before the Union army withdrew under the cover of darkness. The New York Times called it "the first serious conflict between the United States troops and the rebels." This book describes the events leading up to the battle, the battle itself, and the aftermath". Reardon: "WITH A SWORD IN ONE HAND AND JOMINI IN THE OTHER: The Problem of Military Thought in the Civil War North"
Current scholarship has pretty much accepted that antebellum West Point trained officers, and the Civil War generation as a whole, demonstrated no systematic application of the military principles of Swiss theorist Baron Antoine Henri Jomini outlined in his famous work Summary of the Art of War. 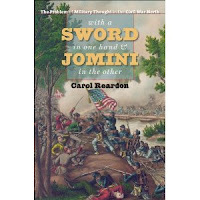 Historian Carol Reardon's With a Sword in One Hand and Jomini in the Other: The Problem of Military Thought in the Civil War North confirms this, yet the outbreak of war in 1861 sparked in both civilian and military spheres a hunger for up to date military intellectual thought. No one is claiming regular army officers were not exposed to Jomini, just that there's little evidence his ideas were ingrained in the military culture and institutions of the time. Reardon's short study is organized into three discrete chapters, perhaps best thought of as a trio of fascinating mini-monographs than a continuous narrative. The first chapter introduces the reader to the wider body of military literature available to the Civil War North, of which Jomini comprised only a small part. Austrian Archduke Charles, of Napoleonic Wars fame, wrote an influential work that many considered superior to Jomini. According to Reardon, the 1854 English translation of Jomini was so disliked that it was suggested that it be replaced by Prussian General Carl von Decker's Tactics of the Three Arms. Frenchmen M.A. Thiers, Paul Thiebault, and the famous Marshal Marmont also contributed notable works, the latter for its concentration on soldier morale. American military science offerings included works by Henry Halleck and Dennis Hart Mahan, but it is telling that each published without the support (professional or financial) of their institution. One of the chapter's most interesting revelations was the influence of well read civilians on the war's intellectual discourse. Recent immigrant Emil Schalk published a strategy treatise in 1862 titled The Art of War that Reardon posits as "the most widely discussed book on military strategy to appear in print that year" (pg. 32). A second book in 1863 sparked even more military and civilian critics and adherents. Reardon notes that Schalk's very public expression of his ideas on concentration and the targeting of armies instead of fixed points predated Lincoln's. The latter's legion of cheering biographers continue to ascribe these principles to intuitive genius, but perhaps the explanation that Lincoln simply kept up with the popular literature should be given more credence. The thoughts of other civilian writers, such as John W. de Peyster, are also discussed in the book. Another important point raised by Reardon was just how widespread the informed and serious discussion of military strategy was, highlighted by the emergence of a pair of journals (the Army and Navy Journal and the United States Service Magazine), both offering open discussion of military matters between soldiers and civilians, with the goal of critiquing current and future strategy in an arena free of politics and institutional interference. The second chapter takes on the long standing debate over whether the war would best be waged by officers of natural 'genius' or formal military education. Reardon uses George McClellan and Henry Halleck as case studies of the arguments of both sides, but there really isn't too much said in this section that would surprise readers of other works examining the subject. The author does subscribe to the traditional critiques of both generals, apparently immune to the charms and persuasions of recent books by Ethan Rafuse and Donald Stoker on the McClellan front. In Halleck's case, it strikes one as a bit unfair to allow the general to be hammered on the 'dispersal of resources' front for 1864's Red River and Olustee campaigns when both were primarily Lincoln administration pet political projects. The last section is an excellent discourse on the facet of warfare most shortchanged by the technical military theorists of the day (including Jomini) -- the morale and welfare of the individual soldier and how they affected the ability of armies to fulfill commander directives. Here, Reardon chooses an excellent vehicle for her discussion, the Army of the Potomac during the Overland Campaign of 1864. She thoughtfully traces the campaign's near destruction of the army's horizontal (within a given unit) and vertical (up the order of battle) cohesion. Grant's maintenance of initiative and forward momentum on the part of the Army of the Potomac through continual operations is often praised, but his policy of constant movement, digging, and fighting (often accompanied by night marches) drove entire brigades and divisions into virtual collapse. Luckily for Grant and the rest of the country, enough soldiers maintained a degree of internal motivation sufficient to finish the job. The book ends with a look at whether the lessons of waging war without an institutionalized intellectual foundation were addressed in the post-Civil War period. Apparently, it would be 1914 before the army applied a set of principles to officer education in the areas of theory and planning. Better late than never. Coming in at less than 140 pages of main text, With a Sword in One Hand and Jomini in the Other packs a lot of information and insight into a small amount of space. Carol Reardon deserves a great deal of praise for her depth with economy. All students of the Civil War need to read this scholarly examination of the theoretical underpinnings, challenges, and debates surrounding who should command the Union armies and what principles of strategy should be applied. In line with America's unique culture of individualism, the recognition that no strategy could succeed without attention to soldier morale and welfare is also appreciated. This book is highly recommended to specialist and general military history readers alike. I've always been interested most in the early clashes of the war, not least of these the June 10, 1861 Battle of Big Bethel. After hearing that Savas Beatie had one in the works, I held off on getting a copy of Quarstein's short study that came out last year. I know better than to pay serious attention to publisher's release dates this far in advance, but there is now a webpage up here. I've little doubt it will be a winner. One of the co-authors, J. Michael Cobb, published a nice little book about Fort Wool a few years ago.